iPhone X might be released come next month as a celebratory device by Apple Inc. to mark their 10th anniversary since the launch of their first iPhone back in 2007. iPhone models have thousands of fans worldwide and all of them feverishly speculate of the 2017 device coming this fall. There is a lot of information in the air from various analysts and from Apple itself. Apple has now released the new iPhone X/8/8 Plus, let's look at the hottest features and specifications. Having looked at the iPhone X/8/8 Plus features that it is to bring on the table, these are best three functions that are attractive to me most. One is the longer battery life, fast charging, and wireless charging feature because battery life has always been a concern to many smartphone users and with the USB-C power delivery system the iPhone X/8/8 Plus will charge with high power more efficiently for a very short time and last for an extended period after charging. That will give the users enough usage time to carry on throughout the day. The wireless charging, on the other hand, will enable charging of the iPhone X/8/8 Plus without the hustle of places to plug in our devices since all that will be required is an inductive pad or mat. The other feature is the enhanced waterproofing and dust resistance because the IP8-rated water resistance will reduce the worry of the iPhone users who are not careful enough in their day -to -day activities. Another feature is the 3D face recognition system will be more secure safer and convenient than the touch id Fingerprint Sensor and this will boost the users’ privacy. The thrill is that you can use it for network payments and passwords or even unlock your device by scanning your face. However, this features is only available for iPhone X, but not iPhone 8 and iPhone 8 Plus. Will I upgrade to iPhone X for its impressive features? Yes, because innovation has almost reached its peak and each device that comes feels like a minor iteration of the previous. 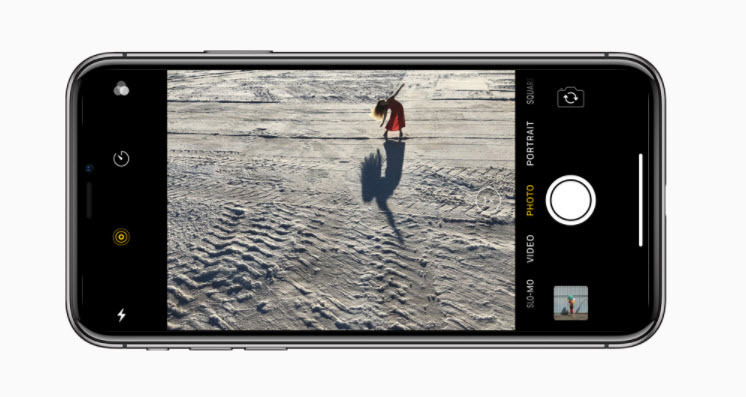 However, the new iPhone X appears to be debuting with an abundance of impressive new features and components that most believe are new and revolutionary making it unique and this will be a good enough reason for me to upgrade. Rumors have it that iPhone X will come with a glass body built around a stainless steel and will have three color options likely to be gold, silver, and black. Its body will have an improved water and dust resistance capability. It will also debut with a 5.8 inch slightly curved OLED edge to edge display taking up the entire front of the device. Its screen made of OLED plastic panels will be somewhat flexible according to some investigators. The device will have a tiny top and bottom bezels just a few millimeters wide where the front cameras and the touch id are integrated and will contain no physical home button. The several front cameras will enable facial recognition for improved security. Another suggested rumor is a vertically aligned dual lens camera that will allow augmented reality and better photography and 4K video filming at 60fps capabilities. Apple is also rumored to do away with the touch id and integrate a 3Dfacial recognition system. A faster and power saving A11chip processor and a 3GB ram, expected to be 10 to 15 percent faster for the 2017 devices will come with the devices. Other features and components will include increased battery life, faster charging with a USB-C power delivery technology, wireless charging, speakers and receivers with better stereo output, re-introduction of the 3.5mm earphone jack and increased storage space. iPhone X will be marking the 10th anniversary, and there is so much hype about it floating in the air than there was on earlier models, and nothing will stop millions of fans and Apple brand lovers from upgrading to this high-end model. Most will choose to resell, donate or recycle their old iPhone devices after the upgrade and one should be concerned about privacy by preventing exposure of private information through erasing all private fragments and sensitive data on their devices. To help protect your privacy its recommended to use the iMyFone Umate Pro or iMyFone Umate Pro for Mac. It’s a third-party app that can completely erase the iPhone data and make it 100% unrecoverable. 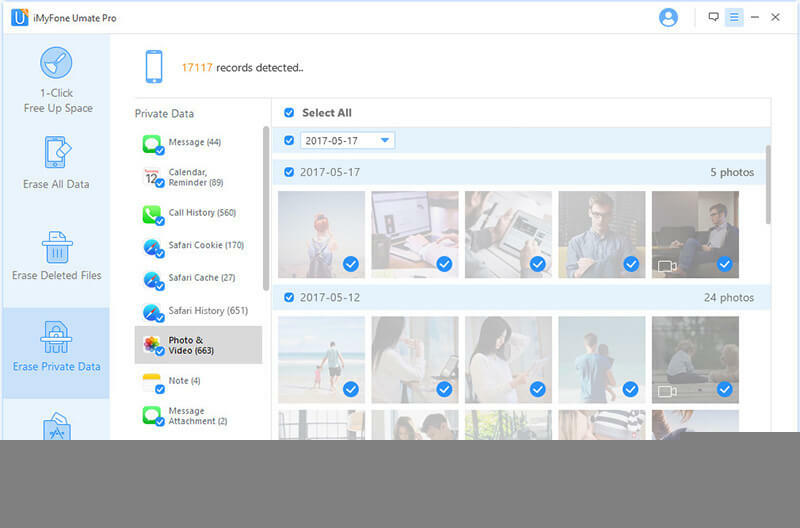 Also, it can clear all kinds of iOS data: browsing data, messages, history, contacts, photos, videos among others and remove without a trace all data from third-party applications: WhatsApp, We Chat Snapchat, Kik, Viber among others. It’s the best third-party app to use since it gives you the chance to preview and choose those files that you want to get rid of and has security levels customized for different needs which ensure that all the sensitive and compromising information is removed with zero chance of recovery. Whether you want to erase all or selected files completely the steps are straightforward and easy to follow. For instance, if you want to delete private data the steps include: Run Umate pro > erase private data.